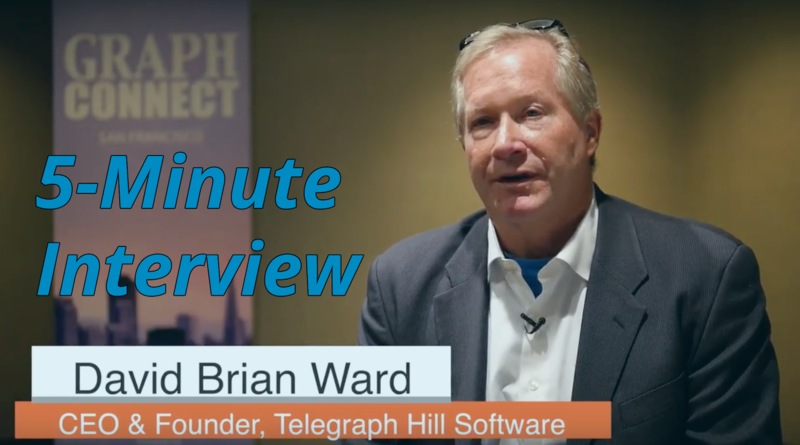 In this interview we meet CEO and Founder of Telegraph Hill Software David Brian Ward. Find out more about his company and how he's made use of Neo4j and graphs! Q: Tell us a little bit about Telegraph Hill Software. David Brian Ward: We founded the company in San Francisco about six years ago, and we work primarily with the fast-growing SaaS startups in the San Francisco Bay Area. We provide outsourced product development services, elite engineering teams, and staff augmentation — really whatever is necessary on the technical side of the business. Q: Talk to us about how you use Neo4j. We also use Neo4j to manage IT cloud infrastructure at scale for some of our clients. We’ve worked together on a mutual customer — Lending Club — in which the Neo4j graph database was used to manage hundreds of thousands of hardware and software components as part of a software as service (SaaS) solution. Q: What made you choose Neo4j? Q: What are some of the most interesting or surprising results you’ve had since working with Neo4j? Ward: One of the most surprising discoveries was how easy it was to learn the Cypher graph query language. It’s just not that different from SQL and the training curve was very efficient. The other surprise — which we had hoped for and turned out to be true — was the extensibility of the graph database. We represent hundreds of thousands of virtual components and constantly extend and enrich the entities that we represent. This has turned out to be really easy to do with a minimal DevOps workforce. That’s one of the benefits: the cost efficiency of using Neo4j for this sort of application.